One of the easiest ways to get started solving problems is with a blog. When I started my first blog, Green Exam Academy, back in 2008, I was helping my reader solve a problem: studying for the LEED exam was hard. My blog organized information and made it easier for my reader (the customer) to study. Smart Passive Income: When starting an online business, it’s hard to know which strategies actually work. Security Guard Training HQ: I want to become a security guard but I don’t know how. FoodTruckr: Starting a food truck is complicated. On this page, I’ll share resources to help you start and grow your blog. As you read, remember my #1 rule: a successful business solves a problem. Want to See How it's Done? We’ve got a ton of high-quality videos to show you exactly how to get things done on your blog. Confused about where to begin? The key to a successful blog is great content. What is great content? Well-written, informative posts that help your reader solve an issue at the heart of their problem. On Smart Passive Income, great content is a highly detailed blog post on getting started with Facebook ads. On FoodTruckr, great content is a comparison of mobile payment processors. For both of these, the information shared will help the reader to solve a problem. On your blog, you’ll use a mix of different types of posts, including case studies, how-tos, product reviews, philosophical looks at key issues. This is called your “Content Pyramid” and it helps keep your blog interesting for the reader. But first, you need to set up your blog! If you’re brand-new to blogging, you’ll want to start with How to Start a Blog—The Ultimate Tutorial. I’m still putting the finishing touches on the this guide; it launches in Summer 2017. You can get notified the moment it launches. This guide will walk you through everything you need to know when setting up your blog, including how to configure your hosting and set up WordPress. You have a blog—but now what? 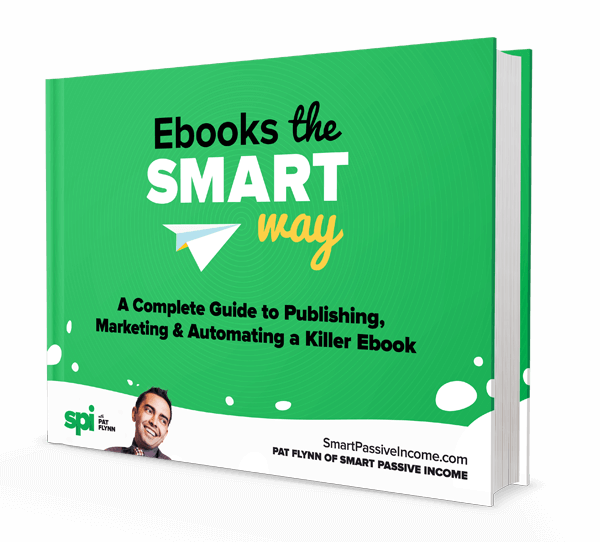 Ebooks the Smart Way teaches you how to write a killer ebook, from content planning and formatting to pricing the book and launching it out into the world. Get access to this free guide, downloaded over 200,000 times! Check your email to confirm. You’ll get a link to my Thank You page, which has the download for Ebooks the Smart Way. The posts I share on this page will help you at various stages in your blogging journey. Once you have your blog up and running, the posts in the Tutorials for Creating Content section will teach you how to write well so that you’re helping your readers to solve problems. In the Tutorials for Managing Your Editorial Calendar, I’ll teach you how to plan ahead, so that you never miss a publishing date. You’ll learn the strategies and tools I use with my team to publish the right mix of content, on time, every time. Finally, the Tutorials for Using Blog Content to Drive Traffic introduces you to strategies for growing your audience through the thoughtful use of targeted content such as “upgraded content” and repurposed content. This is just scratching the surface—once you’ve mastered these concepts, use my site search to explore more topics on traffic growth. You’re ready to start exploring! Have you been thinking about starting a website for a while, but held back because you didn't know quite how to get started? BYOB is a free 5-day challenge to help you build a brand and website you can be proud of. These are my time-tested advice for common blogging hurdles like picking the perfect topic, letting go of writing insecurities, working with keywords, and leaving your readers better off than they were before. Guest blogger Kim Roach shares 17 different blog post ideas that you can use the next time writer's block strikes. Images are a key part of keeping your blog interesting, but there are rules you need to follow. Here's how to find images that are safe to use on your blog. Neil Patel is a master at building an audience through valuable, high-quality content. In this episode of the SPI Podcast, he shares tips for headline writing, driving readership, and optimizing your content’s performance. Have you ever wished your online business could be the “ultimate resource” for your niche, the one-stop shop for your particular audience? Learn how Lucas Hall did just that. The content pyramid below helps you understand the right “serving sizes” for different types of blog posts, so that you can balance your content types and grow your blog. My managing editor, Janna Maron, joins me to talk about how to create and keep an editorial calendar. Learn our favorite tools for organizing content and writing tips you can put into action today. 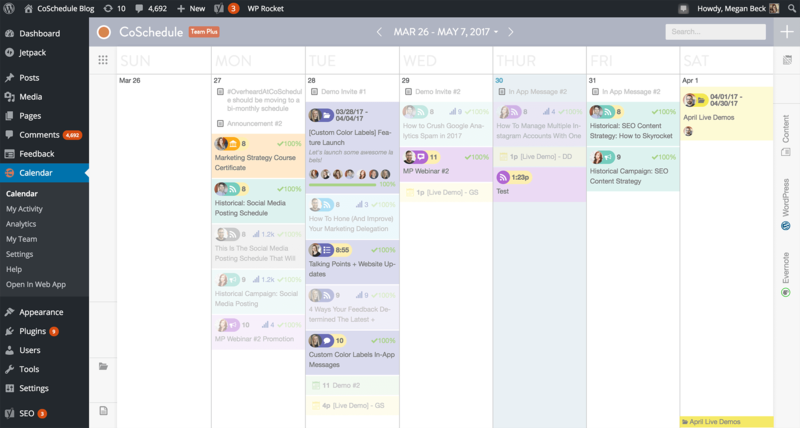 Take a behind-the-scenes look at the spreadsheets and calendars Team Flynn uses to plan content, track our progress, and even schedule social media posts. A content upgrade is bonus content for your blog post or podcast that people can get access to in exchange for their email address. If you've been blogging for a while, it may be time for a content audit. Todd Tresidder discusses the paradoxical practice of deleting content to grow your traffic. It's one of my most popular episodes for a reason. 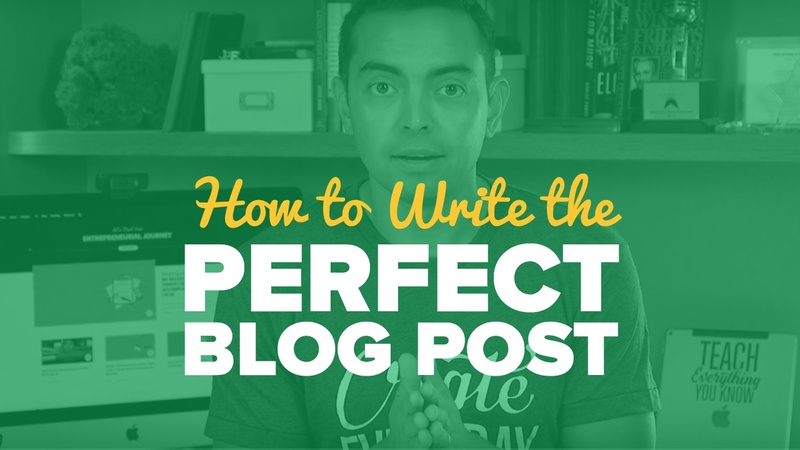 Learn how to take a blog post you've already written and turn it into content fit for other formats—audio, infographics, social media, and more. As you start and grow your blog, I know you’re going to have questions. This is where the AskPat Podcast can help you out. Listeners just like you ask questions, and I answer them. Since I started the show, I have answered hundreds of questions about blogging, from getting started with keyword research, to learning how to write well, to growing your blog with guest posting strategies. Here are just few of the questions (and my answers!) on blogging. If you don’t see your question here, visit the AskPat.com to search through the archive. You can also ask a question of your own! Leave a voice mail for me with the Speakpipe widget and I just might answer it on the show! AP 0358: What Does It Cost to Get a Niche Website Started? Today’s question comes from Will, who asks about website startup costs. What does it take to get a new niche site up and running? AP 0377: How Did You Build Your Niche Sites? Today’s question comes from Kedar, who asks about how I built my niche sites. What did I know before I got started? How did I learn about the niches? AP 0762: What Are Best Practices for Exploring Long-Tail Keyword Searches? Today’s question comes from Jason, who is looking to start a new niche site, but needs some advice on long-tail keyword searches. How can he find an under-used market? AP 0779: Is It Better to Niche Down or Target a Broader Market? Today’s question comes from Brian, who has a question about niching down. How does he niche down his website and his course? Should he target a specific niche, or a broader market? AP 0396: Can I Start Blogging in a Crowded Industry? Today’s question comes from Junaid, who is questioning his desire to be a tech blogger. It’s a crowded industry—is it worth entering, or should he write in a different industry? AP 0819: What Blog Post Types Should I Launch My New Blog With? Today’s question comes from Jeff, who has a question about creating one large blog post to launch his new blog. Should he create one epic blog post to launch his new blog? What other content should he create to launch his blog? AP 0849: How Should I Organize and Categorize My Blog Post Tags? Today’s question comes from Brad, who has a question about blog categories and blog post tagging. Should he re-categorize his blog posts? What should he do about blog post tags? AP 0788: What Is the Best Method for a New Blogger to Build Traffic? Today’s question comes from Sean, who asks about building traffic to his blog. Which method is best for a new blog: SEO or content marketing? AP 0822: I Am Doing a Content Audit. Do I Delete Content? Set Up Redirects? Today’s question comes from Katie, who has a question about the SEO impact of deleting old content and setting up redirects for her website. Should she delete her content that’s under 300 words? Should she set up 301 redirects or 410 redirects? You’re not only ready to start a blog, you’re ready to start serving your audience. I’m so thankful that you’ve allowed me to be a part of your journey toward serving others. I can’t wait to see all that you’ll do! I’m here to answer your questions and help you as you grow your business. Good luck! You’ve got this!